Ambience mall betting big on beacon technology for performance mapping! Beacon is a very helpful technology, but Indian consumer is still in a transition phase in order to become tech savvy; hence, scenario is little complex right now. Ambience Mall, an apogee of lifestyle distinction, offers not only unprecedented scale in terms of its size but also an experience of unparalleled retail mix combined with the entertainment and leisure attractions that has changed the concept of shopping mall experience. 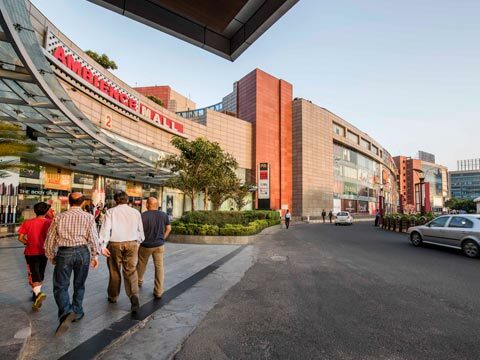 There are two malls – one in Gurgaon and the other in VasantKunj. The mall is home to hundreds of brands across many categories. The mall is just came out the demonetization period and has successfully concluded its year’s first end of season sale. Speaking on overall performance this year, Arjun Gehlot, Director, Ambience Mall, said, “Contrary to general perception, there was a negligible impact of demonetization. In fact, November and December turned out to be the best months for us, mall experience increase in terms footfall and sales in these two months.” He also informed that mall is getting decent increase in footfall y-o-y basis. He also informed that even Indian labels like Ritu Kumar, Anita Dongre are turning very strong in terms of sales per sq.ft. Going further he said, “Recently, in Ambience Gurgaon we redone entire area for ethnic women brands.” As of now, fashion occupies about 70% of leasable area of the mall. At last he mentioned that mall will remain focused on food and entertainment properties equally as malls are no longer shopping destinations only.